As if you needed another reason to visit, Treaty Oak has a new eatery called Ghost Hill Restaurant. 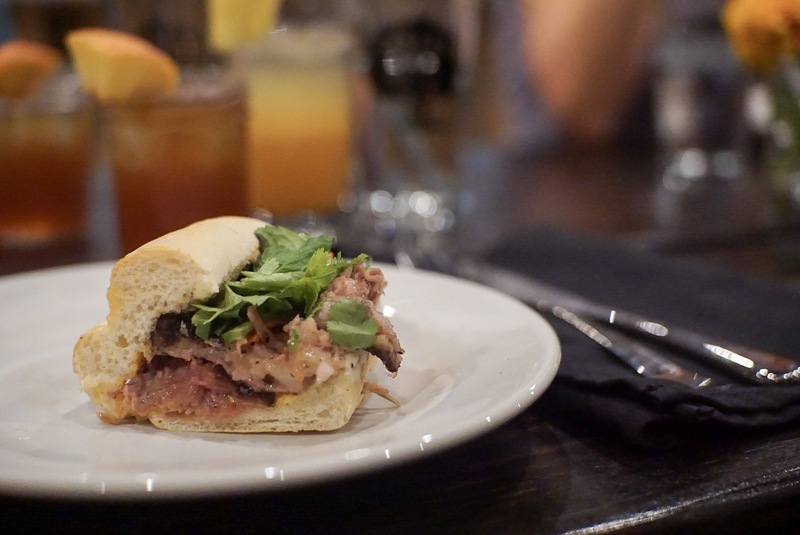 It serves up snacks, BBQ, and a full selection of the distillery’s spirits and beers. With a focus on seasonal and locally-sourced ingredients, the 3,500-square-foot space boasts a minimal interior full of warm woods and a fully-stocked bar. The Texas-inspired food lives in the casual, friendly home it deserves. Ghost Hill seats 65 people indoors with picnic tables. The cathedral ceilings and large windows make the interior feel spacious. The shady outdoor area also has plenty of seating, and even a fire place. There are plenty of picnic tables outside to set up a day of fun with family and friends. And yes, that includes your four-legged family member, too. The team is steered by Chef Chris Andrews and crew. Andrews makes the in-house spirits a big part of his food menu. 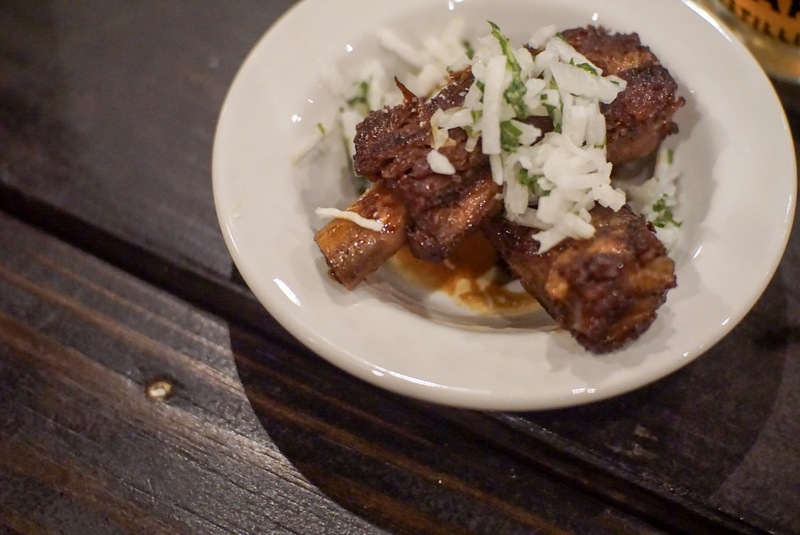 Bourbon and whiskey are seamlessly incorporated into glazes, sauces, and the smoking process. 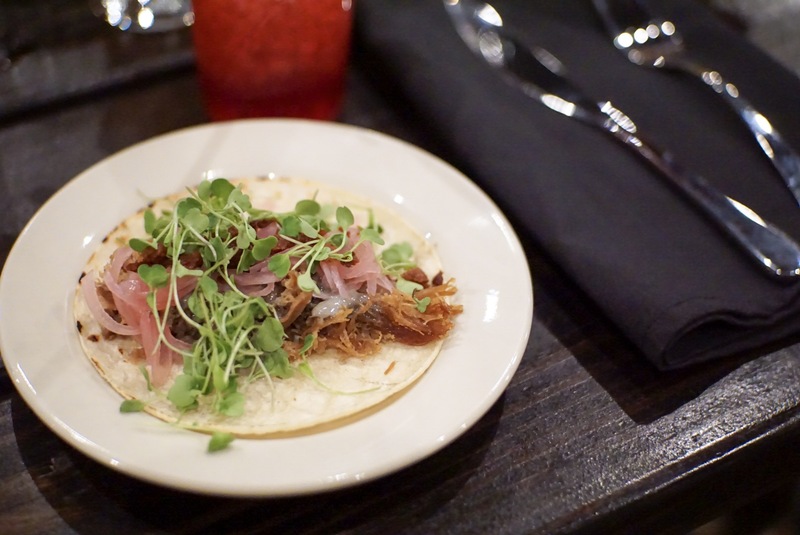 The menu features delicious and innovative dishes, like the duck confit taco, brisket banh-mi, and pork spare ribs. The bar provides plenty of cocktails to complement your meal. 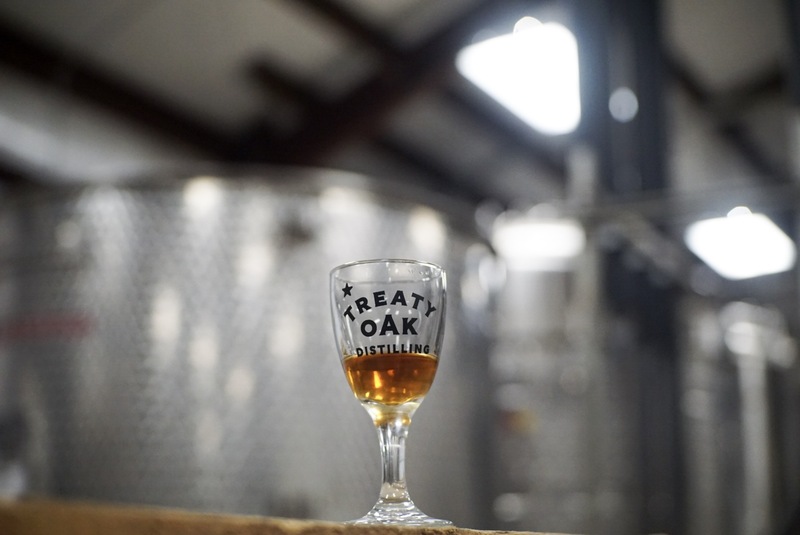 Treaty Oak distills its own bourbon, gin, and whiskey before expanding to brewing beer. The cocktails derived from the liquor are particularly special because of how they’re prepared and served. The bar stocks cocktails in kegs, prepared with fresh-squeezed juices and as many homemade ingredients as possible. The idea is to keep things consistent. Every drink, every time, should taste the same as your first. The herbal, gin-based Caliente was easily my favorite cocktail. 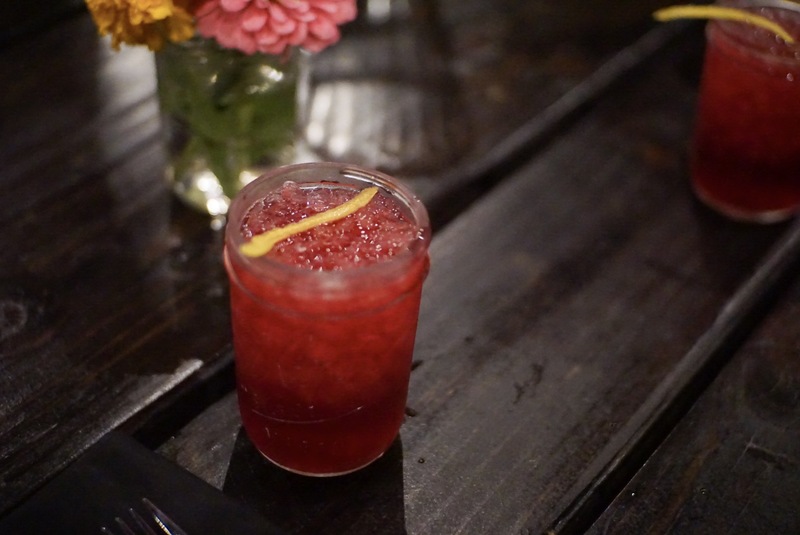 The gin, combined with earthy, aromatic hibiscus syrup, and jalapeño, makes for a refreshing combination. The Mai Tai was a close second. A reserve rum serves as the base and is topped off with orgeat, orange syrup, and lime juice. I will warn you: these cocktails are strong and very delicious, so pace yourself! Treaty Oak sits among a quiet landscape, full of sunshine and fresh air. The outdoor area is covered with shade trees. Come nightfall, the grounds are lit up with string lights to create a relaxing environment. 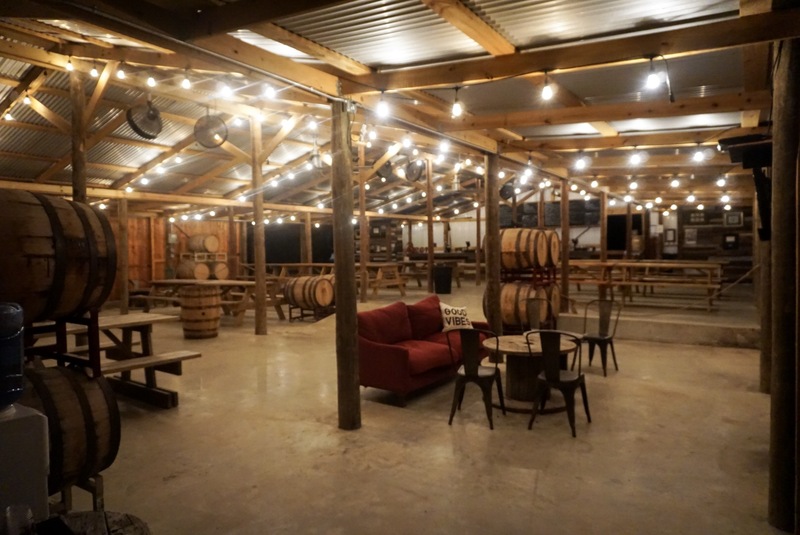 A converted barn serves as a covered outdoor hangout, with plenty of swings, couches, chairs, and beer to relax with. The decor is an interesting mix of country chic and industrial, but never lacking warmth. 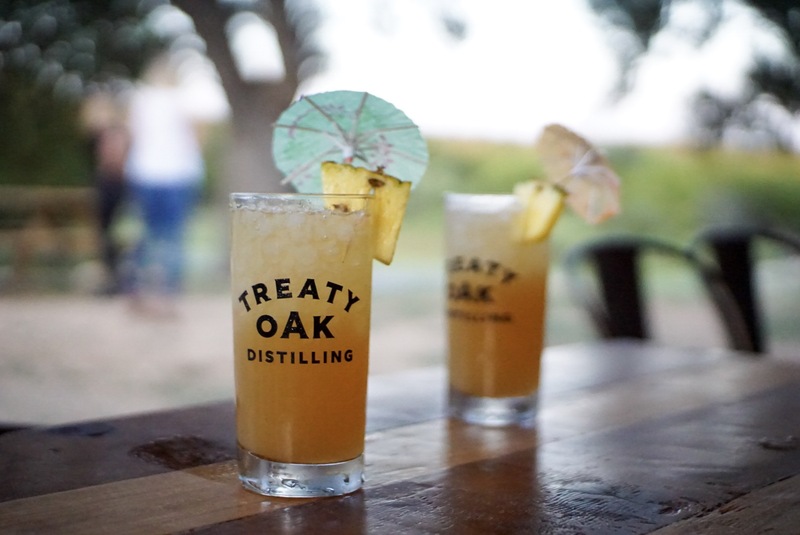 The best way to start your day at Treaty Oak is with a distillery tour. The tours start at $10 for an informative session, and a $15 ticket includes spirit tasting. 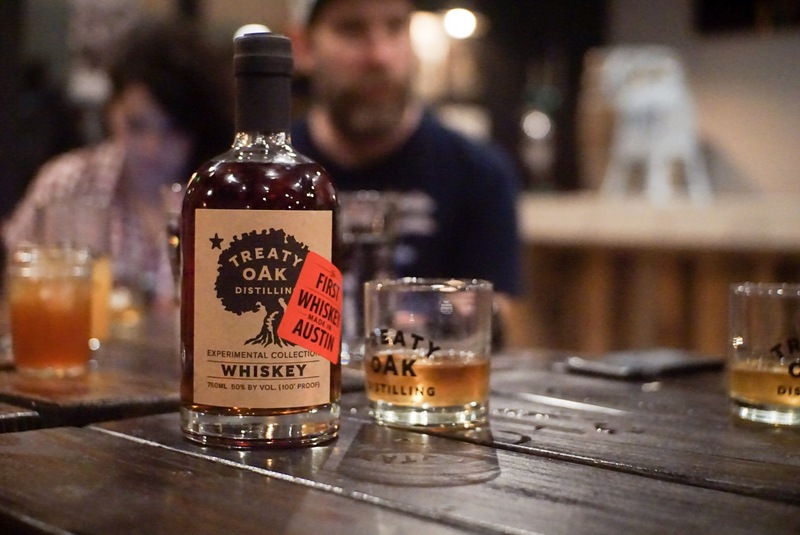 Learn the history of the distilling process employed by Treaty Oak. This is a great way to satisfy your inner brewmaster! 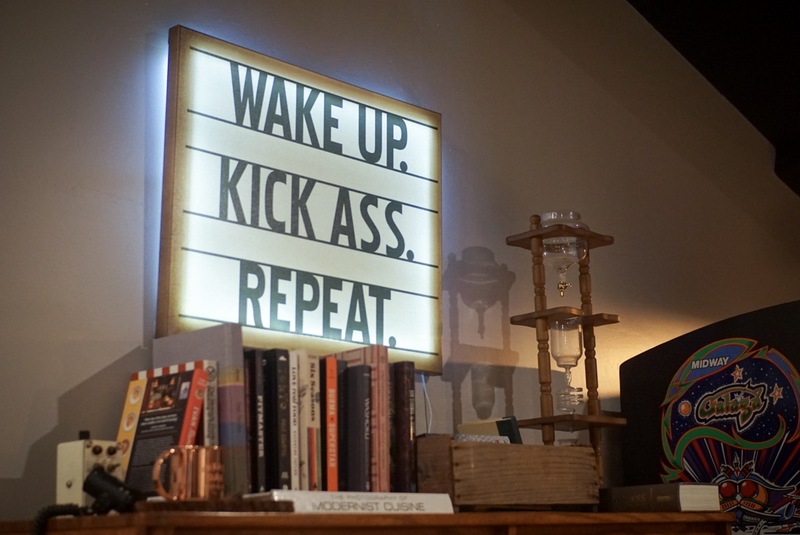 If touring is not your cup of tea, head straight to the tasting room. Sample up to three spirits from several available, and explore the attached gift shop for treats to take home. With its family-friendly vibe and comfortable atmosphere, Treaty Oak expands its reputation as a welcoming destination, through the addition of Ghost Hill Restaurant. The food is sublime and the spirits are strong. It’s a great place to get away from the hustle and bustle, to kick back and relax. Best of all, you don’t need to pack a picnic basket or cooler to have a fun day. What is your favorite part of visiting Treaty Oak in Dripping Springs?